Brendan Perlini shoulders the heritage of an impressive hockey lineage on his back. Literally. The son of longtime international standout Fred Perlini, Brendan wears No. 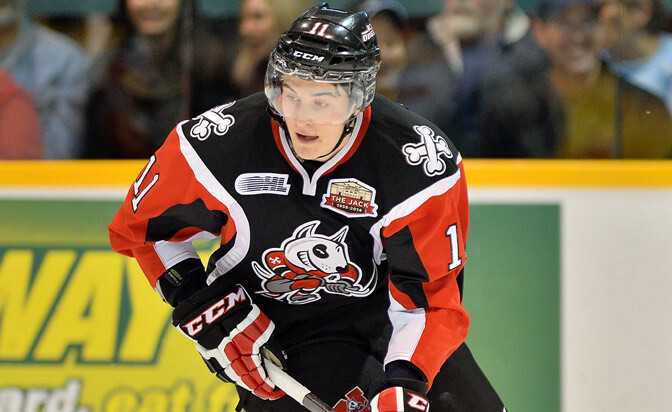 11 for the Niagara IceDogs of the Ontario Hockey League as a tribute to his father's playing days with the Guildford Flames of the British Hockey League. "Basically most of the top footballers over there, if they're bringing in a big signing, they give them 11," Brendan said. "That's what the team did with my dad and it just kind of stuck with him over there and then his last game he got the number retired by the team. "That’s where I grew up playing. Me and my brother both wear 11. It just kind of stuck with us too." A jersey number isn't the only thing Brendan has taken from his father, an eighth-round pick (No. 158) of the Toronto Maple Leafs in the 1980 NHL Draft who played eight NHL games over parts of two seasons before spending a decade playing overseas. While Fred's hockey career wound down in England, it's where Brendan got his start. Born in Guildford, Surrey, England, Brendan got his first taste of organized hockey at a rink 20 minutes south of London, a unique start that Brendan credits with helping him develop to this day. Those lessons learned are proving critical in 2013-14 as Brendan has 30 goals and 64 points in 49 games in his first full season in Niagara. He leads the team with 15 power-play goals. "It's a little different," Brendan said of hockey in England. "Obviously growing up over there it's not the biggest hockey market. We practiced a ton. It was a complete opposite to how they do it over here where you play a lot of games. "We played 18 league games and practiced four times a week. If you're good enough, I played up a couple groups and played for the England team so there were definitely a lot of games played and a lot of different teams in which you could play on. "I think the career over there definitely helped me and it adds a little international experience to my resume, I guess you could say." Perlini is No. 8 on NHL Central Scouting's midterm ranking of the top North American skaters available for the 2014 NHL Draft, No. 4 among OHL forwards. As much as his start in England is a hot topic, around teammates and peers his father steals more of the spotlight, Brendan said. "Even around here talking to guys, a lot of guys have already asked me about him," Brendan said of his father. "It's funny. You hear some stories that he always tells and you're not sure if they're true or not and you hear the guys talking about him. It's pretty cool. "He's really helped me a lot in my career. I think that's definitely something that helped me, kept pushing me and kept me believing in myself. Obviously him playing in the NHL, he knows a lot of the ins and outs of the game which is definitely beneficial to my game. It's definitely very helpful with him around." But the help doesn't stop at Fred; far from it, it in fact. As much as Fred is still talked about, Fred Sr. -- Brendan's late grandfather -- might get the most attention of the Perlini clan. He might have been the best of the bunch too. "He was definitely a big influence on my career," Brendan said. "He didn't play professionally but a lot of people have said he was probably the best player coming out of Sault Ste. Marie. "He went to Detroit Red Wings camp when he was 14, 15 years old, the Rangers; he went to a lot of NHL camps. He kind of had a little phobia of not moving away from home. Ultimately, I guess you can say, I don't want to say screwed his career, but it didn't benefit it. "The day he passed it was actually Jan. 11. Obviously it's kind of funny; wearing 11 seems to keep coming around." Brother Brett, who sports the same No. 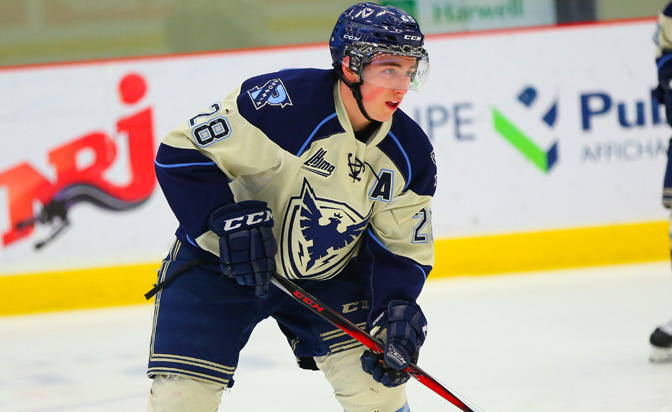 11 with the Toledo Walleye of the ECHL, might have a bit of an impact on the 17-year-old, too. "I want the best for him and he wants the best for me," Brendan said of his 23-year-old brother. "He would love to see me going as high as possible and get drafted. Obviously I wish him nothing but the best too. I think as long as we keep pushing each other, whether it be in the summer or during the season, it can only make us better."